So you’re thinking about getting the Cheater Wrench, but you’re not entirely sure you should spend the money, or else you just don’t know if it’s really worth it? Let’s take another look at the Cheater Wrench and how it can actually make your life easier. Then we’ll see if you change your mind! What is the Cheater Wrench? Basically, the Cheater Wrench is a toque multiplier. That means it can multiply the amount of force you can apply to a wrench and help you achieve a level of force that you just can’t make on your own power. It does this by using gears to amplify the force you apply to it. 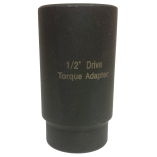 It can be used to loosen any lug nuts, on any wheel. It is so easy to use that even a child, a teenager, or a small woman can rotate it and get the job done. So How Will the Cheater Wrench Make Your Life Easier? First of all, just by virtue of what it is, the Cheater Wrench will make any driver’s life easier. Something that makes you stronger than you are has got to be great, right? 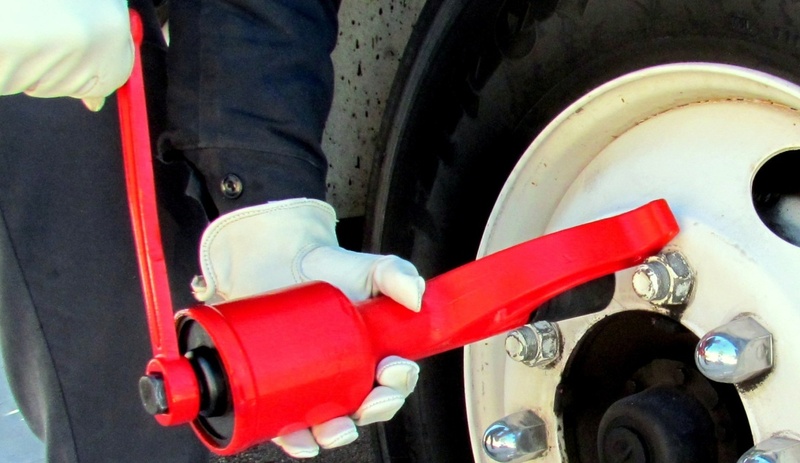 Use the Cheater Wrench to loosen the lug nuts on any truck. That means if you’re driving down the road in your truck and accidentally hit a piece of debris that gives you a flat, you can just pull out your Cheater Wrench and change that flat yourself. You won’t have to worry that those lug nuts are set to about 500 pounds of torque, because with the help of the Cheater Wrench, you can handle it. If you’ve got a teenage daughter driving around, the Cheater Wrench is going to make your life easier because you won’t need to worry about her being able to change her own flat tire. Even if she clocks in at all of 95 pounds, the Cheater Wrench will supply the amplification power she’ll need to loosen the lug nuts. The Cheater Wrench also includes a socket extender, so you can remove the nuts on any of your wheels. Because you can apply a lot of extra torque to any lug nuts without having to add feet of extra leverage to a tire iron, the Cheater Wrench makes your life easier. Just the Cheater Wrench is all you need to do the job, so you save storage space in your trunk or cab, and you save your own valuable time. Need more convincing? 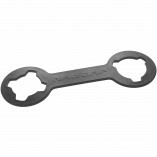 Check out verified buyer reviews of the Cheater Wrench here.